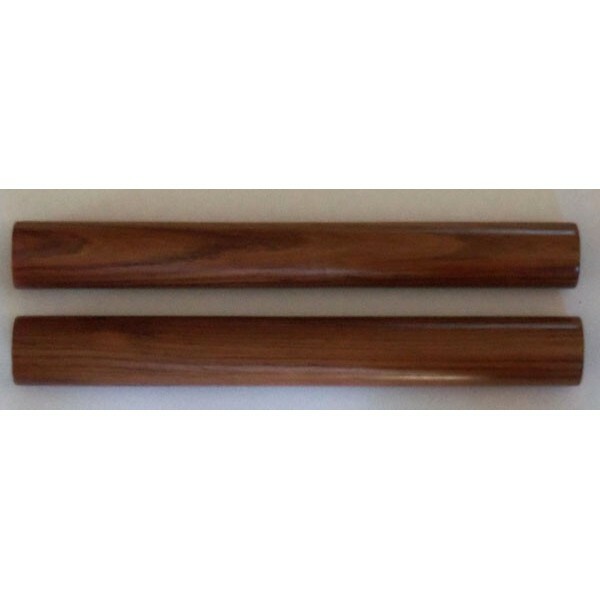 Made from top-quality rosewood for the finest sound, these claves are ideal for both studio and live performances. Claves are a traditional Afro-Cuban percussive instrument, they provide a distinctive accent in many different kinds of cultural music. This instrument is played by holding one stick underhanded with the tips of the fingers above the cup of the hand, and striking it with the other from above to create a sharp cracking resonance. These claves make an excellent addition to your band, or as a gift for your favorite percussionist.